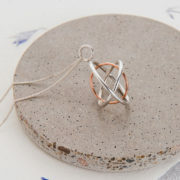 I would love to hear your thoughts, feedback, review and the stories connected to your jewellery from me. 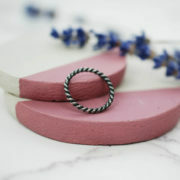 If you have already purchased a piece of precious jewellery from me and/or just want to give me your feedback, please do get in touch via email. Here are just a few of my favourite customer reviews. Judith is a top woman! 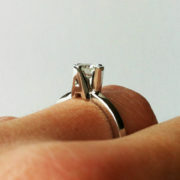 She worked on a bespoke piece of jewellery for me and the process was easy as pie. She transformed a wonky sketch I drew into a beautiful necklace. I trust her craftmanship & creativity. 5*! I recently discovered Judith’s jewellery and I knew immediately that THIS was what every mum deserved for Christmas. 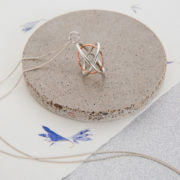 Handmade by Judith in her studio in North London, Judith made her first family pendant as a commission for a friend – a pendant for a friend who had just given birth to a baby girl. And what a lovely way of commemorating a child’s birth! Since then, she’s gone on to sell her family pendants on Not On The High Street, one of my absolute favourite sites for shopping for amazingly unique gifts. 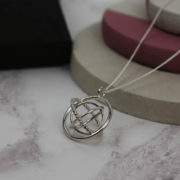 (…) As you can see, this makes a beautiful present for any mum – old or new – and is a really special way of keeping your family close to your heart at any time and wherever you go. Now that I have mine, I want to wear it every day as I absolutely love what it symbolizes. 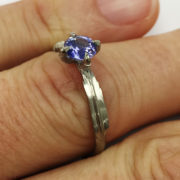 I was looking for a special piece of jewellery and Judith was incredibly helpful in the way she went through all the different options with me so it would be exactly what I wanted; letting me know upfront when the necklace would be ready, and the cost. What I received was beyond expectation and my mum absolutely loves it! Will definitely be buying more pieces! 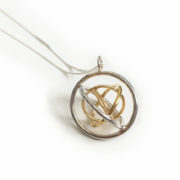 When my pendant arrived I really was taken aback by its beauty. 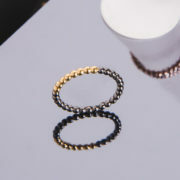 Each ring is perfectly round, with the larger of the two seeming to protect the smaller rings. 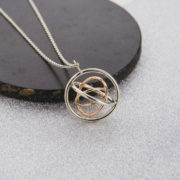 My pendant has two large sterling silver rings, with two copper baby rings. 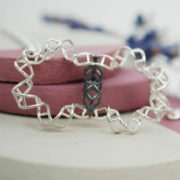 I love the contrast between the different materials, it really makes this piece stand out from the crowd. 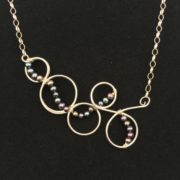 Each pendant also arrives with its own chain, meaning it’s ready to wear as soon as it arrives. I love that my pendant is so personal, it means so much to me that it’s a sign of the people who I love most in the world. It’s obvious from the outset that Judith is passionate about her work. The family pendant really is an exceptional piece, that displays such a high level of care and craftsmanship.